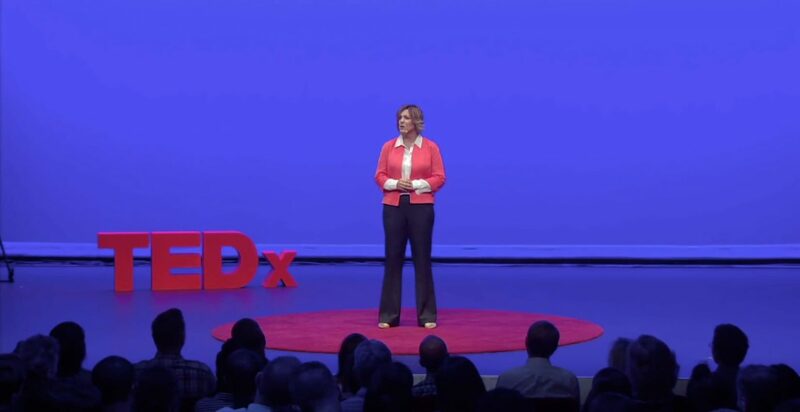 That was the opening line of Tammy Lally’s 2017 TED Talk, but for Lally that is more than just the opening line to her lecture, it also describes her personal money journey.Lally is a Certified Money Coach and author of the new book, “Money Detox: Your Invitation to Liberation.” Her journey started in 2006 with a phone call from her brother on his 40th birthday. 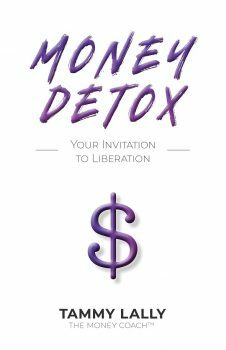 “Money Detox: Your Invitation to Liberation” book cover. Available late Sept. 2018. Lally describes the interaction, saying this wasn’t the first time her brother needed to borrow money. She goes on to say that this time was different. This time his voice frightened her. Lally met with the two several weeks later, where Lally immediately began “the tough love budget conversation.” Lally told them they needed to downsize and give up “the toys.” Keith and his wife blamed each other. “It got messy,” Lally recalled. Two months went by and Lally got another call. Keith had committed suicide. Suicide rates among adults between the ages of 40 and 64 have increased by 40 percent since 1999, according to a study by the American Journal of Preventative Medicine. Of those suicides, financial mishaps such as job loss, bankruptcy and foreclosures accounted for more than a third of them. “[Keith] was caught in our family’s money shame cycle,” Lally said. While the American Journal of Preventative Medicine study did not specify a gender identity or sexual orientation breakdown, Forbes reports that LGBTQ people are more likely to experience bad spending habits, feel less in control of their finances and struggle to maintain savings when compared to their heterosexual counterparts. Robbie Puskarich was the director for residential lending for a community bank in St. Petersburg. From the outside he seemed to have the ideal life. Puskarich was in his own money shame cycle. Puskarich was keeping his money shame inside, all while portraying an image in the community that he was well off and doing fine. “I know I put the pressure on myself, but I also felt the community was putting the pressure on me too,” he says. LGBTQ individuals trying to “keep up with the Joneses” in the community is pretty common, says Lally. Along with the negative stereotypes that society has put on the LGBTQ community, a well-heldview has been that people in the LGBTQ community have money, and lots of it. It’s rooted in the “old world view” that gay and lesbian couples couldn’t marry or adopt kids so they had expendable incomes. This image, Lally says, contributes to an LGBTQ person’s individual money shame. As stated earlier, Lally is a Certified Money Coach, but she doesn’t just talk the talk because she was trained in the subject. Lally herself stared down the long tunnel of her own money shame. After Lally’s brother committed suicide, she went to his house looking for answers. She found a stack of overdue credit card bills and a foreclosure notice served to Keith on the day that he died. “[Keith] dies and six months later it’s 2007 and the market crashes. I lost everything,” Lally recalls. In what seemed like overnight, Lally had lost her brother, her job and her income; but she didn’t seek help right away. Lally says things started to turn around when she opened up about her own money shame and did the one thing that so many people in her shoes rarely do. “I accepted the help that was offered,” she says. But it wasn’t an immediate fix. Not only did she need to accept the help offered, but she needed to get to the root cause of her personal money shame, she says: her past. “Money Detox” is part self-help book, part autobiography and part textbook. Puskarich is currently on his path to recovery from money shame. He left his job five years ago, which he says was killing him. Like Lally, he saw a major change come when he opened up to someone about his shame. Puskarich has taken the next big step in getting out from underneath his money shame. He quit his job, cashed in his 401k and now he and his boyfriend have moved to New Mexico, just outside of Santa Fe. Whether it’s a big lifestyle change or just simply opening up to someone, Lally says there is always light at the end of the tunnel. She says it comes as long as we recognize the issue in front of us and approach it from a place of understanding. “The last time I saw my brother was in a financial meeting and I shamed him. I literally shamed the crap out of the guy,” Lally says. That purpose? Helping people to recognize their pain and to overcome their money shame. Tammy Lally’s “Money Detox: Your Invitation to Liberation” is scheduled for release this month.